Many people can agree that drinks such as cola, citrus pop, sports drinks, and the popular energy drinks taste undeniably good. Unfortunately, they are doing more harm than the taste is worth in today’s young people who drink far more pop than any other generation. 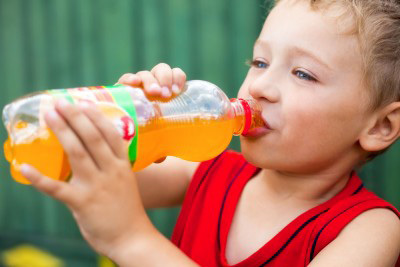 Dentists across the nation have noticed that teens and young adults are suffering from severe tooth enamel erosion that is caused by acidic drinks and foods. Although the problem explains itself; everyone needs to limit their soda consumption to a rare treat. Stop drinking soda, or only allow yourself to drink soda pop on special occasions. Diet soda is no better than the regular type: they are equally acidic. Limit your consumption of alcohol which can lead to many other health problems than tooth erosion. Fruit juice is another drink that can cause tooth erosion. Try eating whole foods instead of drinking concentrated and processed juices to get essential nutrients. Avoid eating candy and other sugary foods. Try brushing your teeth or rinsing your mouth with water after you drink pop or eat other acidic things to help restore your mouth’s pH balance. Stick to a proper oral hygiene routine which includes brushing, flossing, and using an antiseptic mouthwash. You should also use a fluoride enriched toothpaste to strengthen your tooth enamel and prevent erosion. Tooth enamel erosion is permanent and leads to tooth sensitivity, pain, and tooth discoloration. The treatment options for tooth erosion are limited, which include dental crowns or porcelain veneers which may need to be replaced over time. It is important to avoid acidic foods and drinks, but you should also practice proper oral hygiene and schedule routine appointments with your dentist for checkups, tooth cleanings, and tips about how to care for your teeth. Schedule an appointment today for all of your dental care needs.